Capital Juniors is a year-round after-school rowing and academic program for high school students from all over DC. When do Capital Juniors row? Returning Rowers – Monday, Tuesday, Thursday, Friday, 4:30 – 6:30 pm, Saturday 8:00 – 10:00 am. New Rowers – Monday, Tuesday, Thursday, Friday 4:30-6:30 pm. Where do Capital Juniors row? We are located in the Anacostia Community Boathouse at 1900 M Street SE, Washington, DC 20003. How do I get to the Anacostia Community Boathouse? Metro: The nearest Metro is the Potomac Avenue Station (Blue/Orange line). Rowers meet at the metro, wait for each other, and then travel this route in large groups. Students are not encouraged to walk alone. Athletic clothing is ideal – but, shorts and a tee shirt are fine! In the colder weather months, we highly encourage rowers to wear several layers – it is always slightly colder on the water. Do not wear baggy shorts or long t-shirts, because they might get caught in the seat. Sneakers or running shoes are best for footwear. You will be taking your shoes off in the boat, so make sure you wear or bring socks. A hat, visor, or sunglasses are helpful in keeping the sun and glare from the water out of your eyes. Do not wear rings, expensive non-athletic watches, bracelets, necklaces and other types of jewelry to practice. 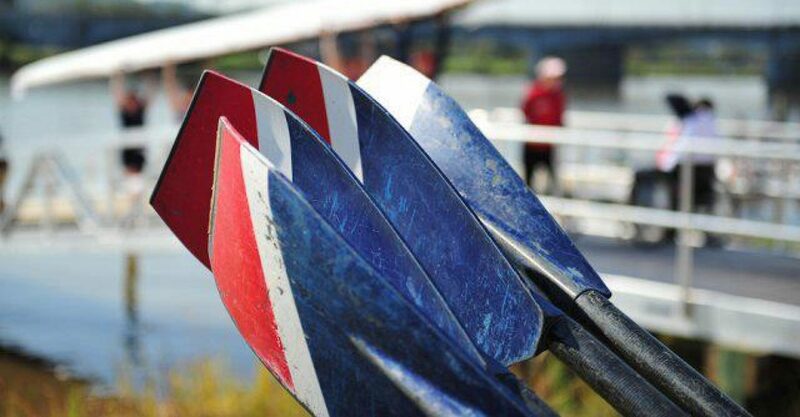 All boats, oars, and other equipment are provided by Capital Rowing Club. You do need to bring a water bottle, sunscreen, and clothes for physical activity. Rowing is a physically demanding sport that requires a great deal of commitment. We expect that you attend every practice and come prepared to learn and have fun. We row rain or shine, so come down to the boathouse even if the weather is bad. The only things that keep us off the water are lightning and high winds, in the event of either, we complete a land workout circuit – composed of rowing on the ergometers, and some calisthenics. Rowing is incredibly safe! Though we are on the water, there is very little chance of falling in. Rowers will be taught the correct way to enter, sit in, and exit a boat so that it remains stable. Boats are always accompanied by a coach in a motorboat who is trained to deal with an unlikely emergency. Life preservers and other emergency equipment are stored in the coach’s boat. Individual life preservers can be worn if the rower prefers, or feels unsafe in the boat. Proper technique is important to avoid exercise-related injuries. Coaches will constantly assess and instruct rowers on how to avoid problems. Rowing is rough on your hands. Expect to get blisters in the beginning. Your hands will eventually toughen. After the first day, you may want to put tape on the spots that are particularly sore. From VA: Take I-395 North across the 14th Street Bridge. Proceed past the Maine Avenue exit. Get into the left lane and head towards I-295.Proceed past the South Capitol Street exit. Take the next exit for 6th Street SE/Navy Yard. At the bottom of the ramp, go through the two lights. At the next light, make a RIGHT onto 8th Street SE. Proceed to M Street SE and take a LEFT. Go straight through the traffic lights, and continue on M St for about a mile until you get to the boathouse on the right. The road narrows and runs along the railroad tracks. Keep going past the Washington Yacht Club on the right. Please be careful. The bike trail merges with the road, so you may need to make way for runners and bikers. After you pass under the Pennsylvania Ave Bridge, you will pass a construction site. The boathouse is the compound with the black fence just after the construction site. The gate is located before the boathouse itself. From MD: Take I-295 South. Pass exits East Capital Street & Pennsylvania Avenue. Take the exit for Suitland Parkway. DO NOT GET OFF THE RAMP. Follow the ramp around a full 360 degrees and re-enter I-295 North. Take the first exit for Washington Navy Yard & I-395.Go over the bridge and get into the right middle lane. Merge right following signs for the Washington Navy Yard, immediately after crossing the bridge. Take the fork in the road to the right. When you get to the stop sign where the road ends, take a right onto M St. Follow M St until you get to the boathouse on the right. The road narrows and runs along the railroad tracks. Keep going past the Washington Yacht Club on the right. Please be careful. The bike trail merges with the road, so you may need to make way for runners and bikers. After you pass under the Pennsylvania Ave Bridge, you will pass a construction site. The boathouse is the compound with the black fence just after the construction site. The gate is located before the boathouse itself.